As a country, Israel is a perfect blend of opposites: it has regions rich with history, and cities that are full of new world energy. After our recent travels in Europe I was ready for something new and Israel is a breath of fresh air! 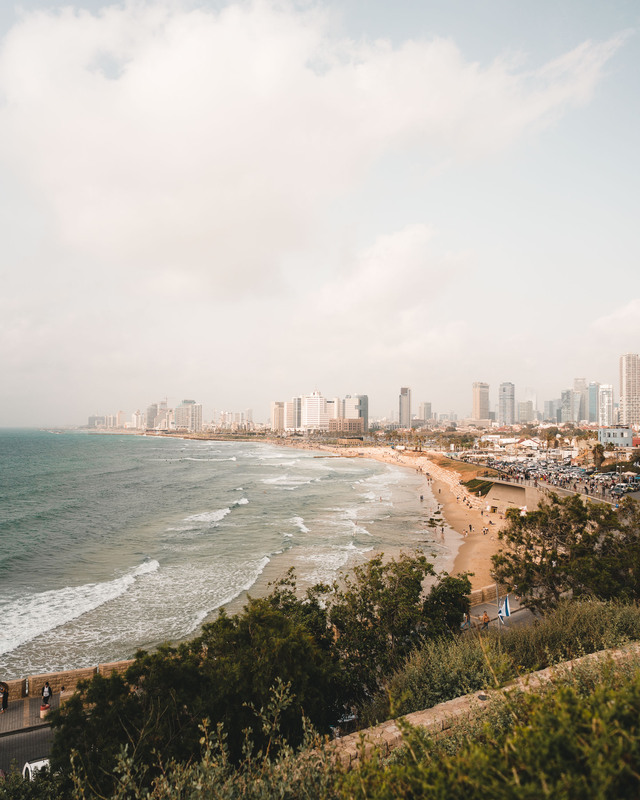 Tel Aviv is a dream city for anyone who appreciates food – I gorged myself on hummus, pita, and falafel in the few days we were here. Left to right from top: Overlooking the Dead Sea landscape en route to the Negev Desert, walking around in Tel Aviv’s old town Jaffa; sunrise walk down Masada, floating in the Dead Sea, views of Tel Aviv from Jaffa. Trendy epicenter with the best nightlife, restaurants, and shopping in the country. Sprawling desert landscapes mostly below sea level. 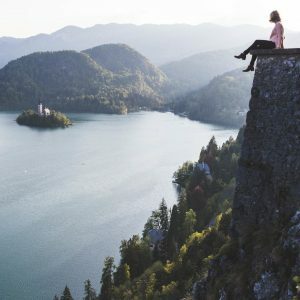 A bucket list destination for any Israel itinerary. Steeped in history and full of neighborhoods to explore. I recommend starting off your trip in Tel Aviv. 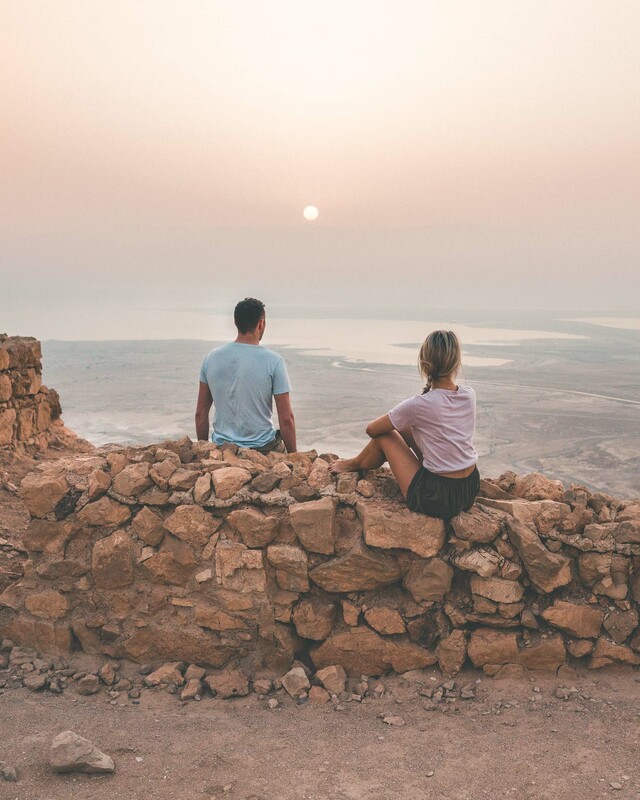 Besides being a great jumping off point to get a taste for the culture and lifestyle in Israel, it’s also the most convenient city to fly into. 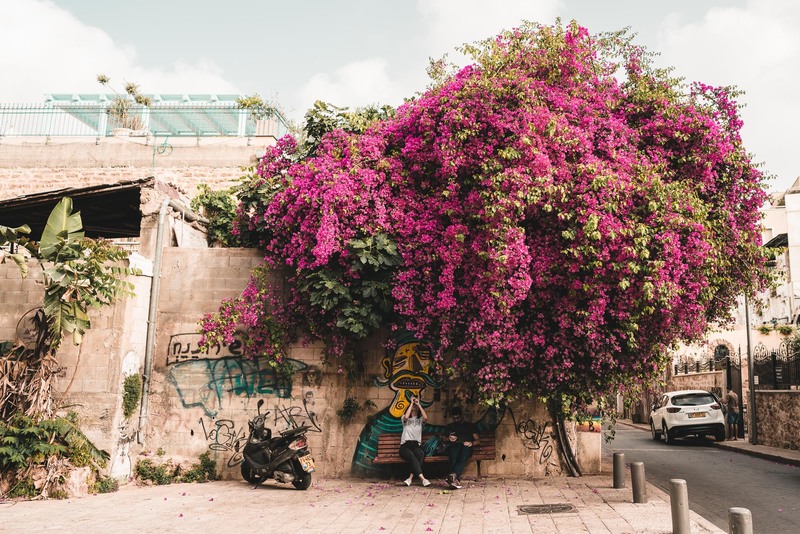 When considering a place to stay in Tel Aviv, Jaffa will give you the best taste of the old town and a spot near Rothschild boulevard will put you within walking distance of the best shops and restaurants. Or go beachfront to soak in the sun! 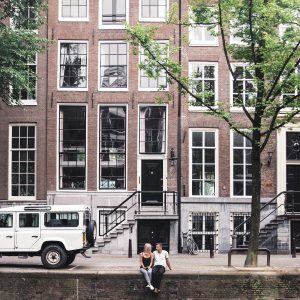 Brown Hotels – we loved our stay at Brown TLV, one of the four hotels by the Brown Hotel company. Highlights included the rooftop hot tubs and bar, and the breakfast credit to a number of local cafes we could choose to eat at each morning. Each unique hotel is located somewhere different, so pick based on your preference. Check out Brown Beach House just off the water, the modern Poli House, and Dave Hotel in the midst of all the action. The courtyard at the Brown TLV. 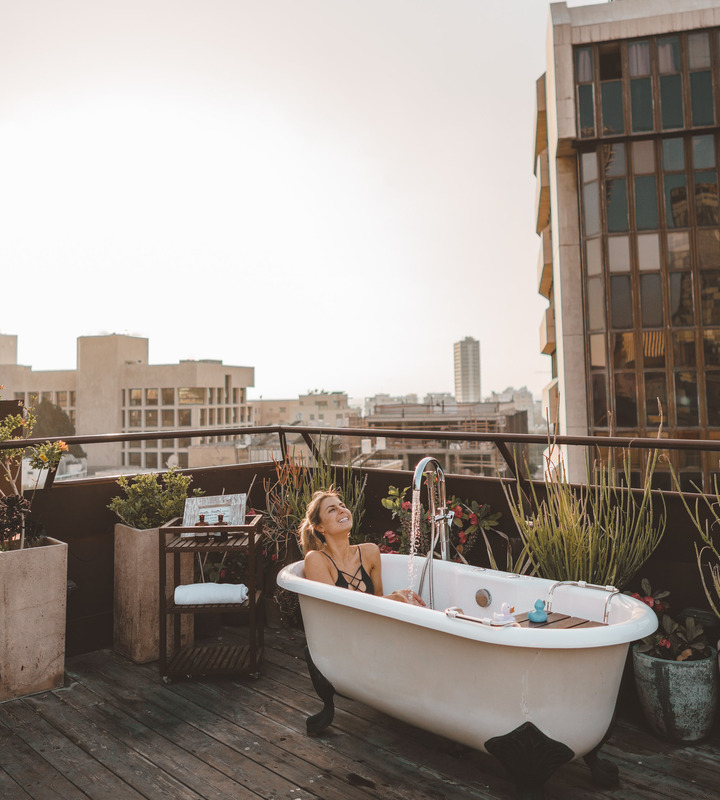 A rooftop bathtub complete with rubber duckies at the Brown TLV. 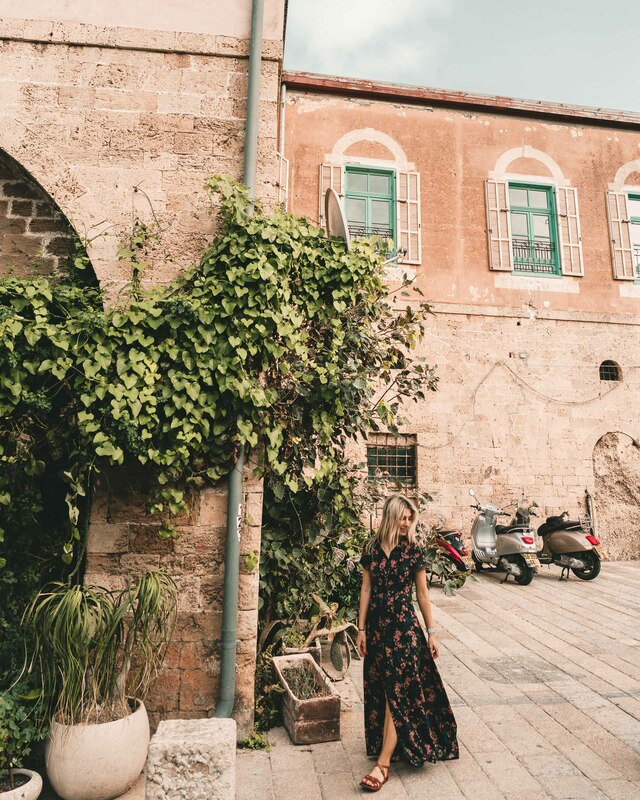 Market House Hotel – Jaffa was easily our favorite neighborhood in Tel Aviv, and Market House Hotel provides the perfect jumping off point to explore the winding alleyways of Jaffa’s old town. Their modern design melds old and new in the best way possible! Royal Beach Tel Aviv – If you’re in it for the beach scene, look no further. This stunning hotel features a pool with floor to ceiling windows facing Tel Aviv’s most famous beach, along with luxurious modern rooms and dining options. Manta Ray Restaurant – the views are prime at this oceanside restaurant which serves up fresh seafood and a delicious brunch. Santa Katarina – we stumbled on this simple mediterranean-Israeli restaurant on our first day, and it was a great way to kick off our trip. We loved it for its delicious side dishes- every meal comes with 6 mini plates, perfect for the indecisive traveler. Fresh hummus and calamari at Santa Katarina. 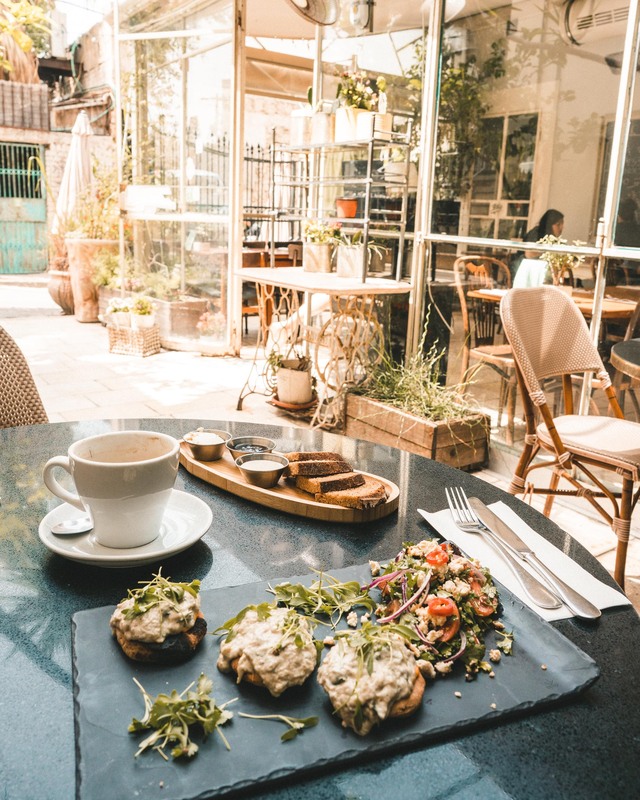 Meshek Barzilay – vegans and carnivores alike will love this home-y cafe with a cozy patio and some of the freshest, tastiest food in town. 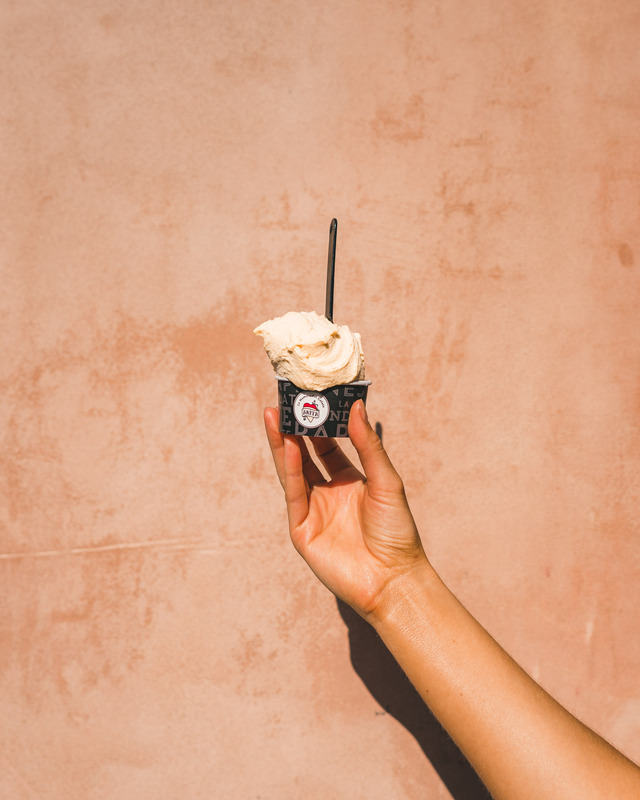 Anita Cafe – delicious gelato, ice cream and frozen yogurt – perfect for a hot day in Tel Aviv! The best vegan breakfast at Meshek Barzilay. Refreshing gelato at Anita in Tel Aviv. Bar Abraxas – whether you’re going for drinks or for a full meal, Abraxas does not disappoint. Dishes are brought out on cardboard or in paper bags, as Chef Eyal Shani (also the creator of Miznon) doesn’t believe in plates! Come for the high energy and music, and stay for dessert. Reservations recommended. Jericho – if you’re looking for atmosphere, Jericho takes the cake. Their outdoor patio located under string lights and between centuries-old facades is picturesque, and their dishes are unique and tasty. Don’t miss the drum fish tartar – it’s totally unique! Outdoor patio seating at Jericho in Jaffa. BellBoy – step back in time at this speak-easy style restaurant with some of the most unique cocktails we’ve ever had. Each dish is served with the ultimate presentation in mind. The perfect spot to meet friends for drinks! Visit Jaffa – this Tel Aviv neighborhood is not to be missed. Located just south of Tel Aviv’s stretch of beaches, Jaffa is full of old-world charm, outdoor markets, and trendy cafes. Perfect for an afternoon exploring and enjoying the city views. Bougainvillea in old town Jaffa. Drinks on the beach – locals agree, one of the most enjoyable things to do in Tel Aviv is to spend a day at the beach with a drink in hand. Pack a beach bag and sunscreen and head over for a leisurely afternoon! Go shopping – Tel Aviv has something for every taste. Hit the Jaffa Flea Market for vintage furniture and home goods; Dizengoff Center, an indoor mall with clothing boutiques; Flashback for second-hand vintage clothing; and Gan Ha’ir for brand name stores and restaurants. See Carmel Market – stop by this colorful outdoor market which sells everything from spices to produce to juice and more. Its sister market, Levinski, is also a short walk away. 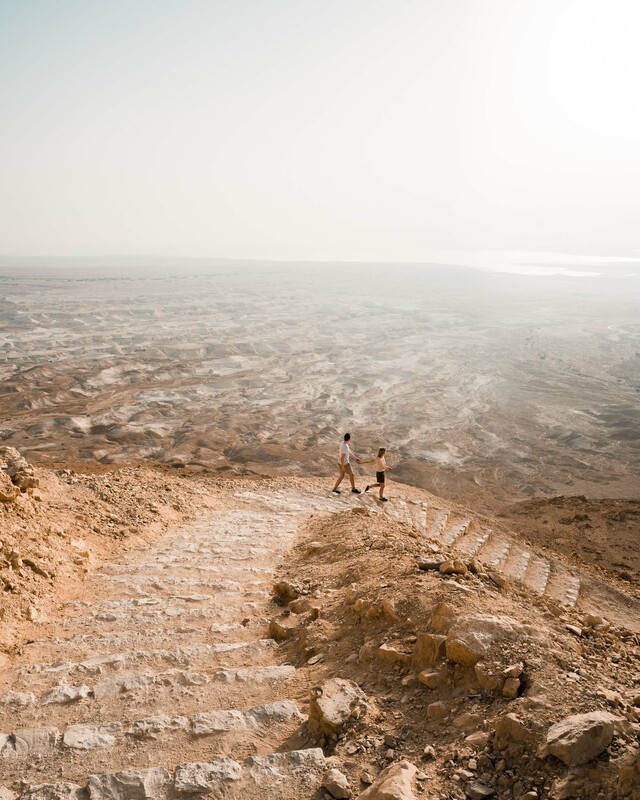 After soaking in the hustle and bustle of Tel Aviv, an escape to the Negev Desert is most welcome. Driving from Tel Aviv into the desert is the easiest way to travel, and you can easily experience this unique region in just one night. Desert Days – we loved the simple set up at this overnight camp. Each hut is equipped with an outdoor kitchen, air-conditioning, fire pit, and hammock. If you want to spend a night in the desert on a reasonable budget, this is the place for you. Tip: the rooms are great, however, be warned that the beds are foam and not mattresses. Our outdoor patio at Desert Days. The restaurant at Desert Days. Lodge Midbara – located adjacent to Desert Days camp, this small family-run property features mud and stone huts made by hand. Each individually unique, with the modern amenities you need to enjoy your stay. Bonus: breakfast delivered straight to your room. 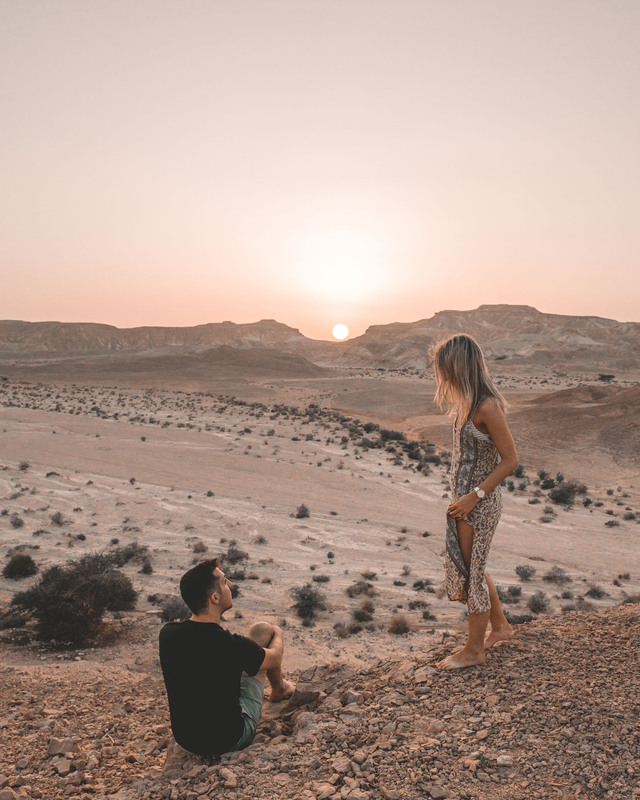 Arava Land – we got a peek of this exquisite hotel whilst staying at Desert Days, and we both agree it would be go-to next time we visit! The rooms are beautifully appointed, tucked away facing the Negev mountains. Plus, you get your own hammock facing the sunset. Beresheet Hotel – a destination in and of itself, this oasis in the desert provides the most picturesque escape. Spend the day pampering yourself at their luxurious spa, relax at the pool, or go on a jeep tour through the desert. See camels – we spotted camels from the road just as we entered the desert region, but there are plenty of places to also get up close and personal with them, like the Negev Camel Ranch. Go biking or off-roading – explore the desert on your own terms by renting bikes or taking an off-road Jeep tour. Enjoy the pool – all the hotels I mentioned above have their own pools, so you’ll have no problem cooling off in the desert heat. The pool at Desert Days camp. 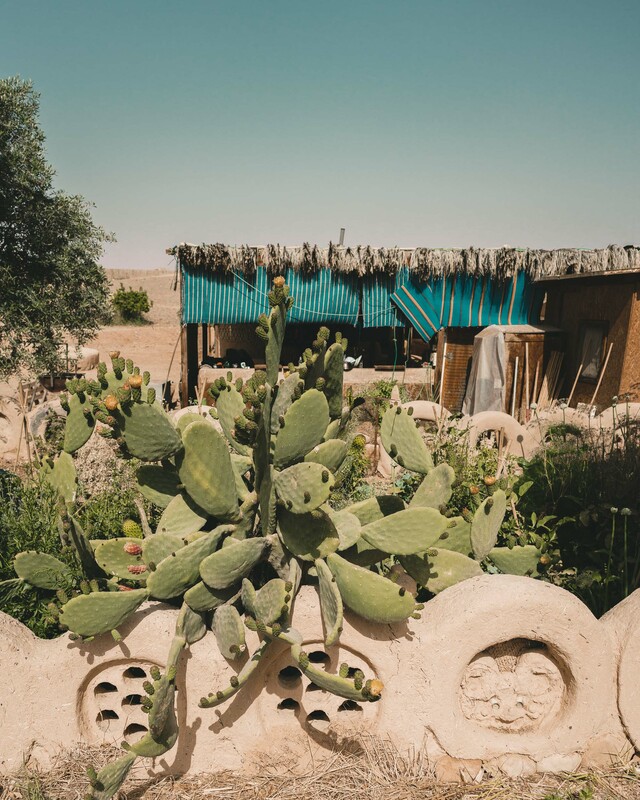 Cook dinner outside – our travels usually consist of eating out, which is why we loved roasting our own vegetables during our stay at Desert Days. Visit a Negev winery – though it seems a near impossible climate for vineyards, a few local wineries have made it work! Check out Boker Valley Vineyard‘s space, which offers local items for sale and accommodation in addition to wine tasting. Watch the sunset – stake out the best spot and bring your camera to capture the most magical time of day. Here are some of our tips for how we shoot photos at different times of the day. 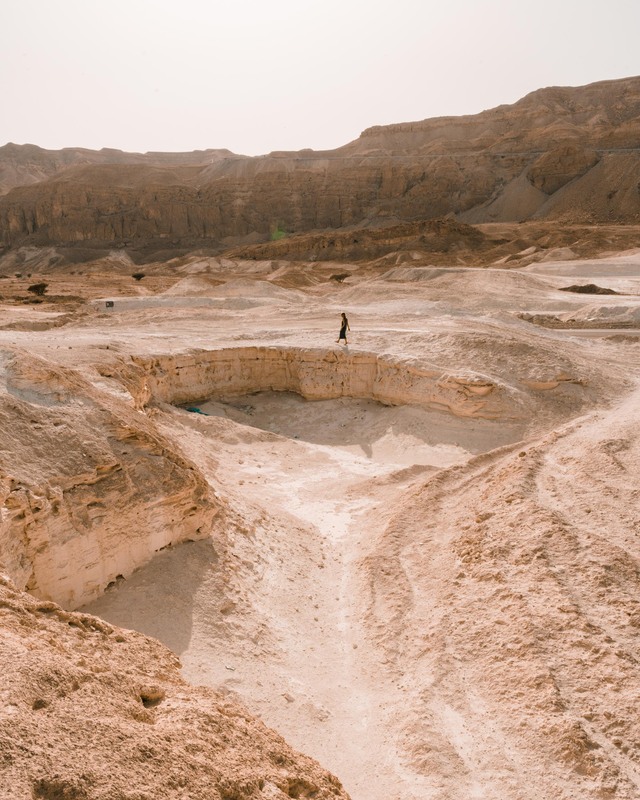 The incredible landscape in the Negev Desert. Catching the last light over the Negev Desert. 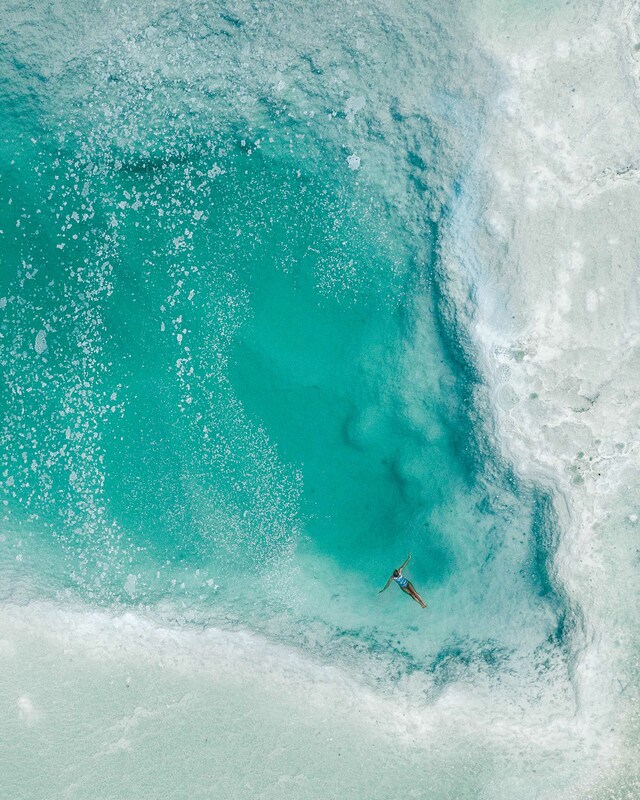 The Dead Sea region is fairly built up due to construction in the mid-80’s, but the real draw here is the once-in-a-lifetime experience of floating in the saltiest water on earth. One night is plenty as other activities and sights in the area are limited. Isrotel Ganim – the rooms are basic, but we absolutely loved the pool set up at Isrotel. Also, the breakfast buffet has a huge variety of local and standard dishes and is one of the best we’ve ever had! They have a second Isrotel hotel just down the road. Herods Dead Sea – a popular choice in the Dead Sea region, Herods often has deals. Like most hotels in the region, it features its own private beach out front as well as a spa and restaurant. Shkedi’s Camplodge – as we spent all our time floating at a public beach anyway, Shkedi’s is a totally reasonable option for those who don’t want to pay a high hotel price for one night. Accommodation is basic (think hostel level) but the charm makes up for it. Float in the Dead Sea – though there’s a designated area to swim in front of most hotels here, we opted to drive and find a public beach that was less crowded. Just south of the hotels, there are a few beaches we chose to swim at which have parking and access to the water (these beaches have much more salt formations). Tip: buy Dead Sea mud at most hotels and stores beforehand and bring it with you! 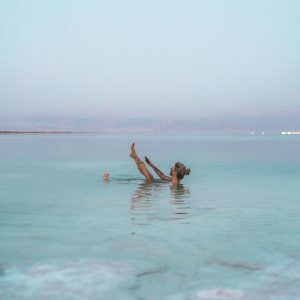 Floating in the Dead Sea at dusk. 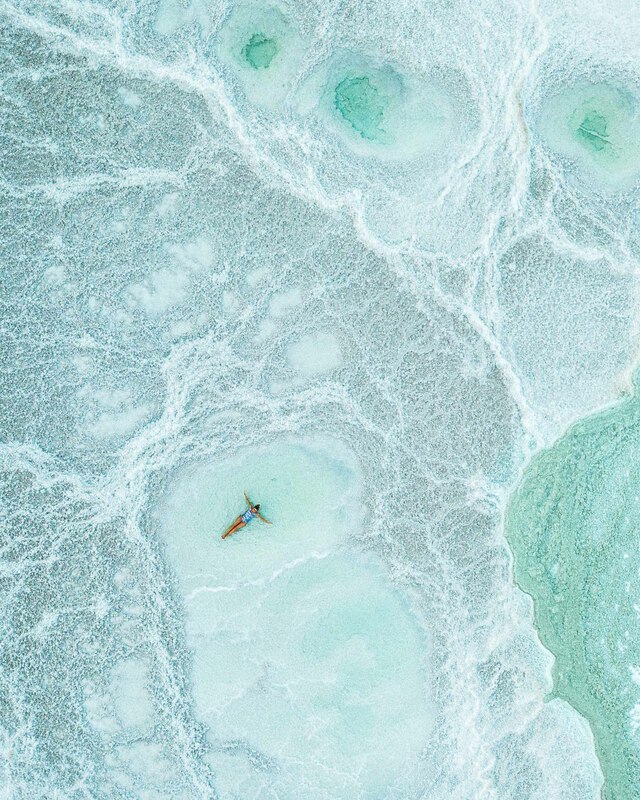 Empty salt pools at the Dead Sea. 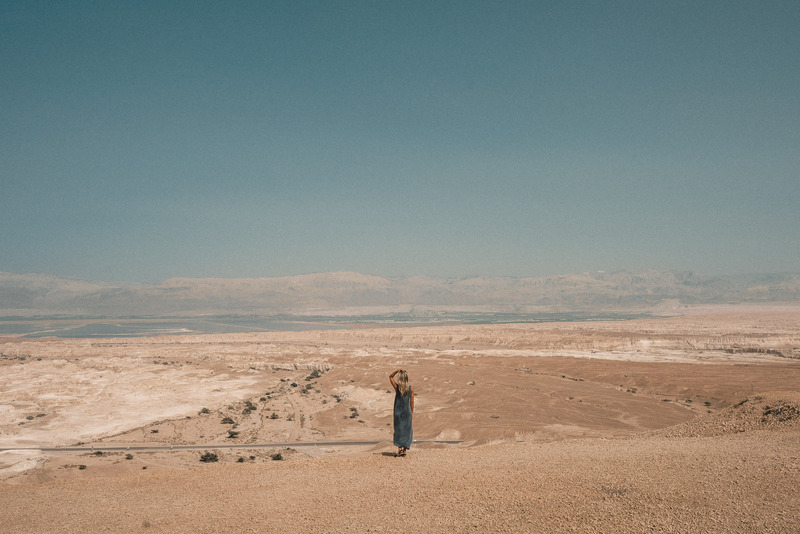 Ein Gedi Waterfall Hike – if you’re spending more than one night in the Dead Sea area, this hike is a great potential add-on. There are various waterfalls to visit, so you can choose your path based on how much time you want to spend exploring. Keep an eye out for wildlife! Sunrise at Masada – Masada is an ancient fortification and the last holdout for rebels of the first Jewish-Roman war. I was on the fence about the early wake-up call required to experience sunrise here, but it was well worth it. It ended up being my favorite experience of the trip — the reward of watching the hazy sunrise over the landscape below and exploring two-thousand-year-old ruins with virtually no one around is indescribable. Tip: bring lots of water and snacks! We began our hike at 5am and it took us about an hour to get to the top. Best seat in the house for the sunrise on top of Masada. 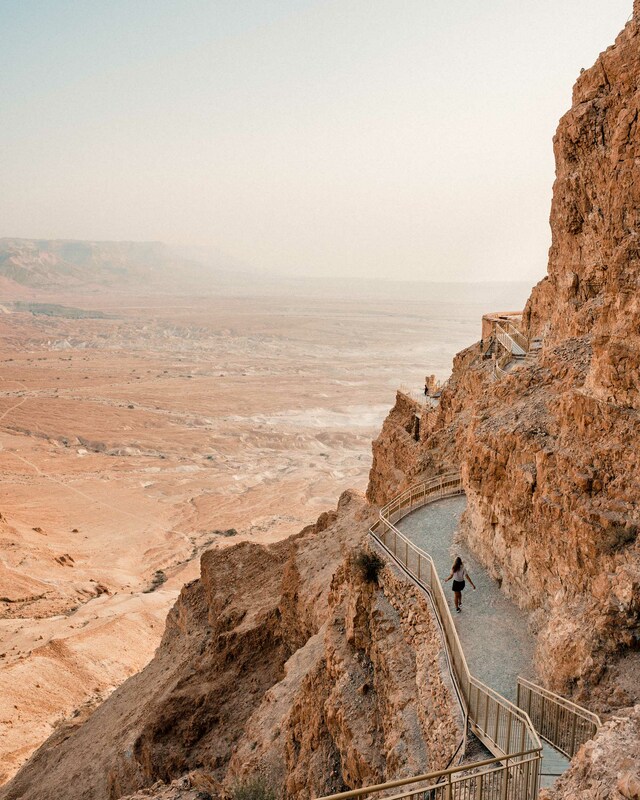 The pathway towards Herod’s Palace on Masada. If Tel Aviv is new-world culture and ethos, Jerusalem is a step back in time. 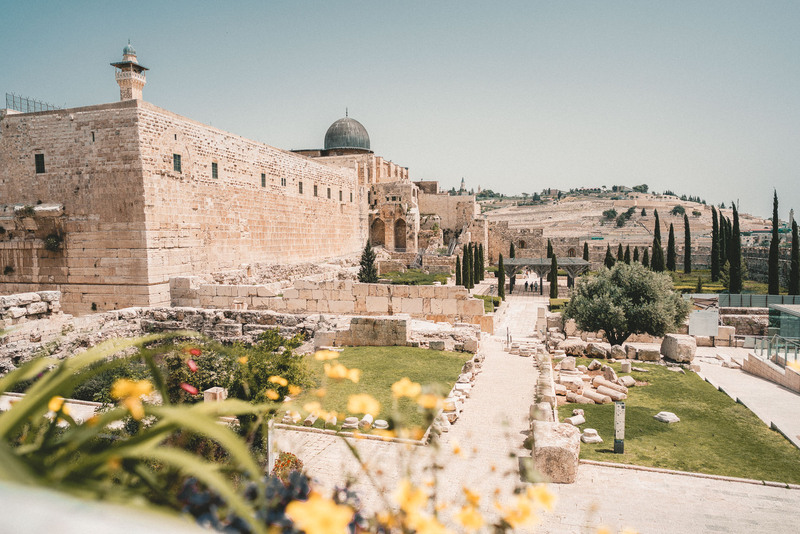 Whether you consider yourself religious or not, you can appreciate the history of this incredible city which dates back more than 5,000 years. 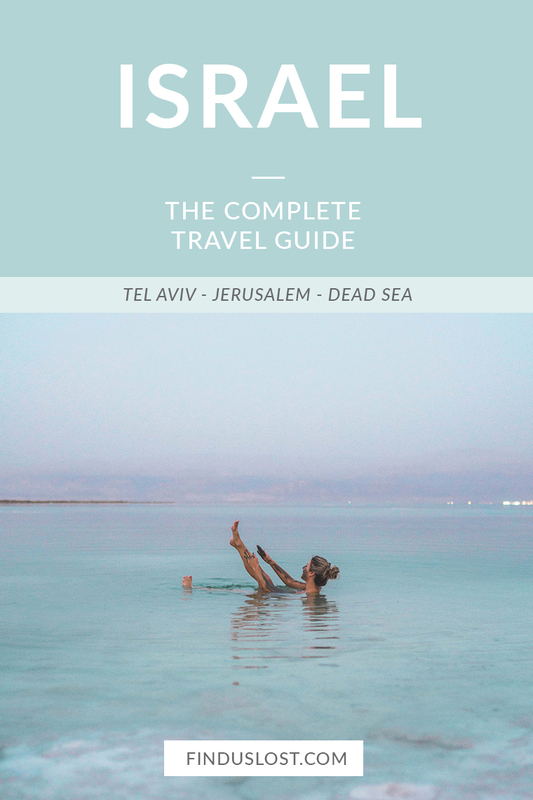 I recommend allotting a couple nights’ stay or at the very least, planning a day trip here (visiting by car or public transport from Tel Aviv is the most convenient). 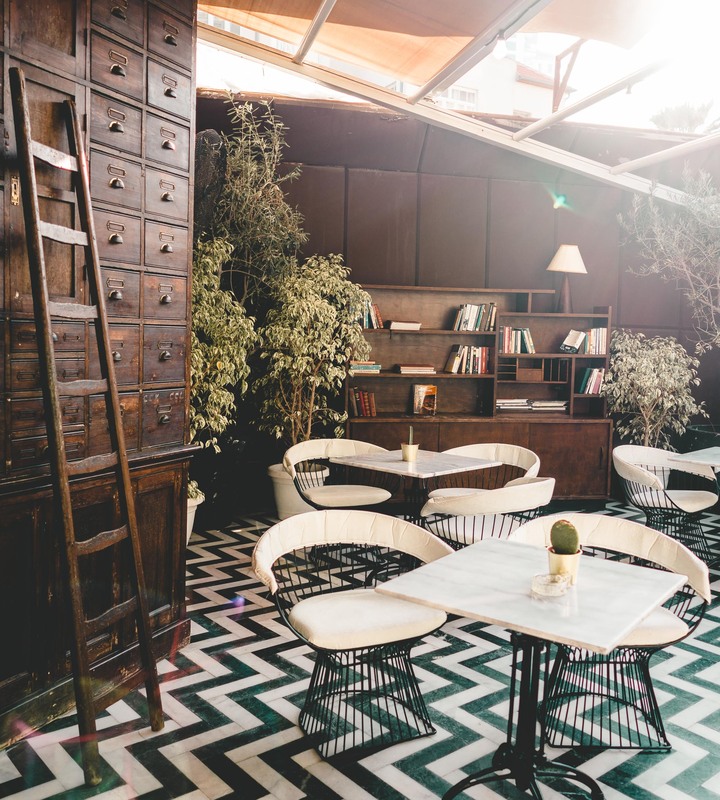 Hotel Alegra – located on the outskirts of Jerusalem in the Ein Kerem neighborhood, this picturesque boutique hotel is nestled amongst traditional buildings in the hills. The perfect spot for those who want city access without being in the midst of all the hustle and bustle. Villa Brown Jerusalem – Brown Hotels truly knows the value of location. Their Jerusalem property is located in one of the oldest areas in Jerusalem, and is complete with its own rooftop spa and tea garden. The American Colony Hotel – you’ll love the charming gardens and European influence at this old hotel, which dates back over 100 years. You won’t want to leave the property, which has six unique bars and brasseries! King David Jerusalem Hotel – this historic hotel is an institution in Jerusalem and has played host to royalty and presidents over the years. It overlooks some of Jerusalem’s most famous areas, including the Old City walls and domes. Waldorf Astoria Jerusalem – sleep steps away from Jaffa Gate and Jerusalem’s old city at the Waldorf Astoria. Each guest receives their own personal iPad upon check-in, just in case you need some tech support for your visit to the city. 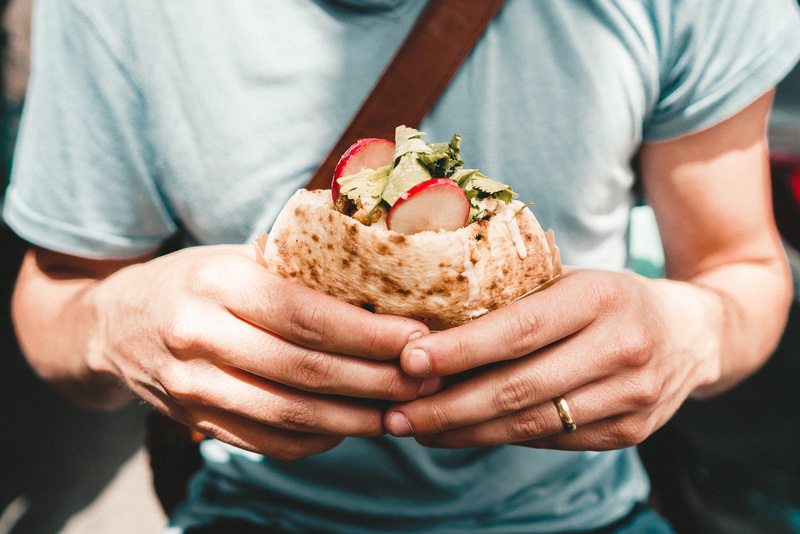 The Falafel Bars – we were inspired by this street food article to find Shlomo Falafel, which is rumored to be the best falafel joint in Jerusalem. Unfortunately, it was closed for renovations when we arrived! Luckily Falafel Brothers Levy hit the spot, but if we had more time, you can trust we’d be hitting every place on that list! 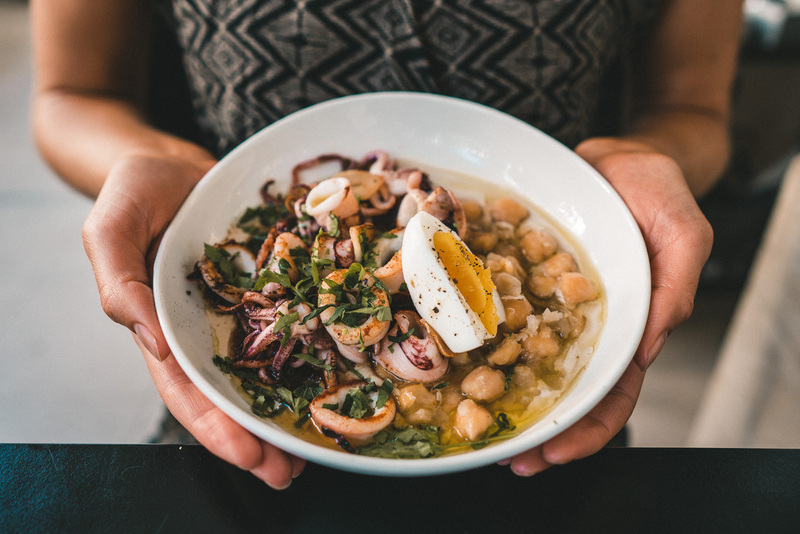 Dwiny Pita Bar – if you’re a fan of seafood, you’ll love the flavor-packed dishes at this eclectic spot located just outside of the Mahane Yehuda market. Pita for lunch at Dwiny Pita Bar in Jerusalem. 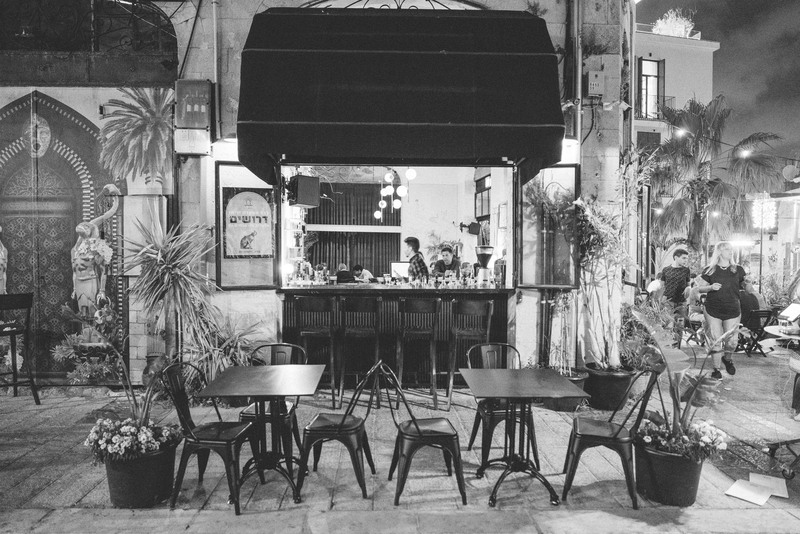 Machneyuda – easily one of Jerusalem’s top restaurants, Machneyuda was started by the winners of Israel’s Iron Chef show Krav Sakinim, Chef Asaf Granit and Chef Uri Navon, as well as Chef Yossi Asaf, the champion of Jerusalem’s ‘slow food’ movement. Expect flavorful, comfort-food dishes that will leave you happily stuffed. Ben Sira Hummus – rumored to be the best hummus spot in Jerusalem when you’re feeling like a quick lunch. Be prepared to wait for your bill – but that’s part of the experience. Mahane Yehuda Market – crowded, crazy, colorful, and not to be missed. 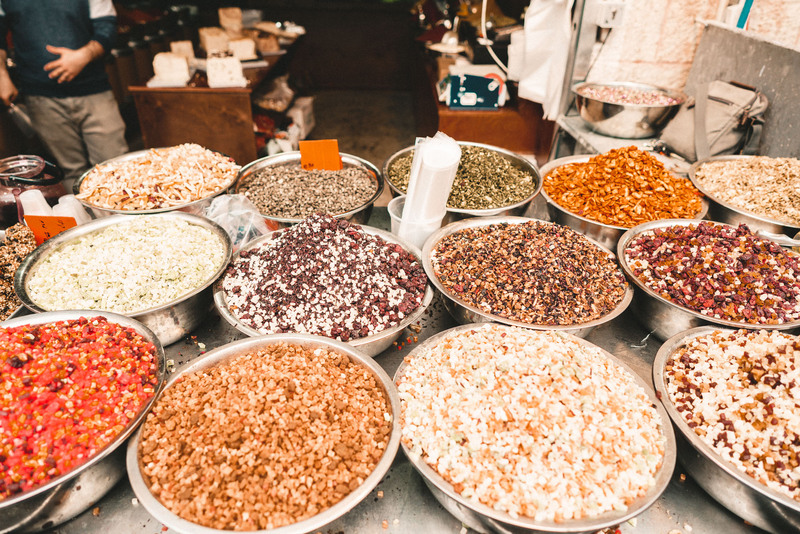 This winding market is an eclectic mix of food and spices, and a must-visit when you are in Jerusalem. Dried fruit and nuts at Mahane Yehuda market. Shop at the souks – there are endless items to be found in the souks, which sell everything from spices to luggage to hand-stitched fabrics. I walked away with a pair of Jerusalem sandals which I’ve been wearing most days since our visit! Explore the various quarters – the four quarters in Jerusalem are Jewish, Christian, Muslim, and Armenian. Soak in the unique vibes of each as you stroll through Jerusalem. 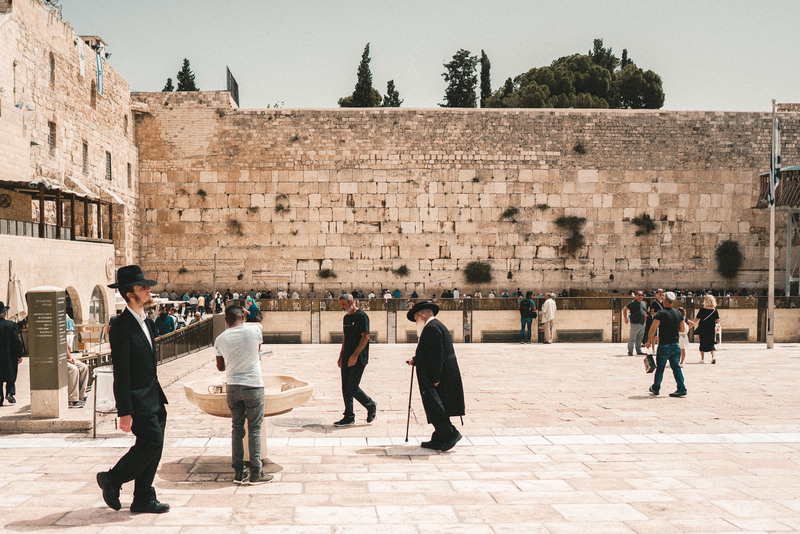 Visit the Western Wall – the remaining wall of this old temple is arguably one of the most historic sites in the world. No matter what your religious beliefs are, you’ll feel the sense of undying energy and history surrounding this holy place. Stop by the Cardo – previously a main street in Roman-Jerusalem dating back to the 2nd century, it now plays host to shops. You can still see ancient roman columns and the old courtyard. Get lost in the cobblestone streets – Jerusalem is full of hidden gems, making it the ideal city to wander and get lost in. Don’t be afraid to venture away from the crowds to discover the nooks and crannies of the city! The old city center of Jerusalem, next to the Western Wall. Light fabric thats breathable. Think cotton or linen pants and machine-washable dresses. A few swimsuits, including one you don’t care about as much. The Dead Sea won’t necessarily ruin a swimsuit, but it is drying so you’re better off having options. A hat and sunglasses. Israel is notoriously hot and sunny. Comfortable sandals that can be worn walking around each city. Or, hunt for a pair at the souks! You may see IDF soldiers carrying military rifles around in some parts of the country. This is normal protocol. We didn’t notice it much during our recent visit. 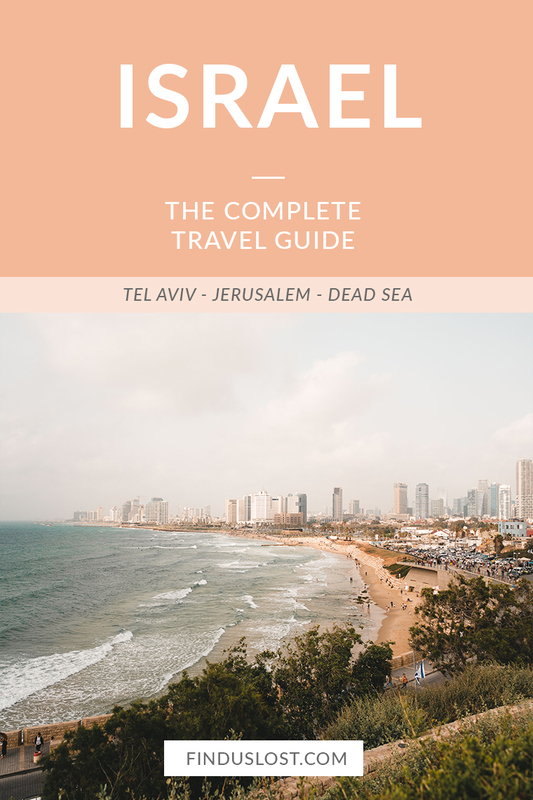 Though the cities and regions listed in this guide feel completely safe for visitors, there are other areas in Israel that I would not recommending traveling to. As with any country, I recommend doing a bit of research on new areas you plan to visit. Parts of Jerusalem are religious so I recommend bringing conservative clothing when you visit this part of the country (think covered shoulders and knees). The old city of Jerusalem also tends to get crowded during religious holidays, so plan your visit accordingly. Keep in mind local hours of restaurants, shops, etc on Fridays and Saturdays. Shabat begins Friday afternoon and runs through the end of the day on Saturday, so some businesses may be closed. We didn’t notice this happening much in Tel Aviv, but it’s very common in Jerusalem. It’s always best to check business hours. If you’re looking for more sights in Israel: consider Eilat’s beaches in the south, the grottos in Rosh Hanikra, and the charming old streets of Safed. You can also do a day trip to Petra, Jordan from Eilat! Very infomative. I like it. Planning to visit March. Inform you. Wow this is wonderful. We’re going at the beginning of May and sort of a mess about what to do and everything else. Will definitely keep coming back and hopefully plan our trip around this! 🙂 Thanks so much! !